The Alberta Main Street Program uses the well established Four-Point Approach to foster excellence in historic commercial areas. The announcement was made by Matthew Wangler, Executive Director of the Alberta Historical Resources Foundation, on behalf of the Honourable Heather Klimchuk, Minister of Culture. 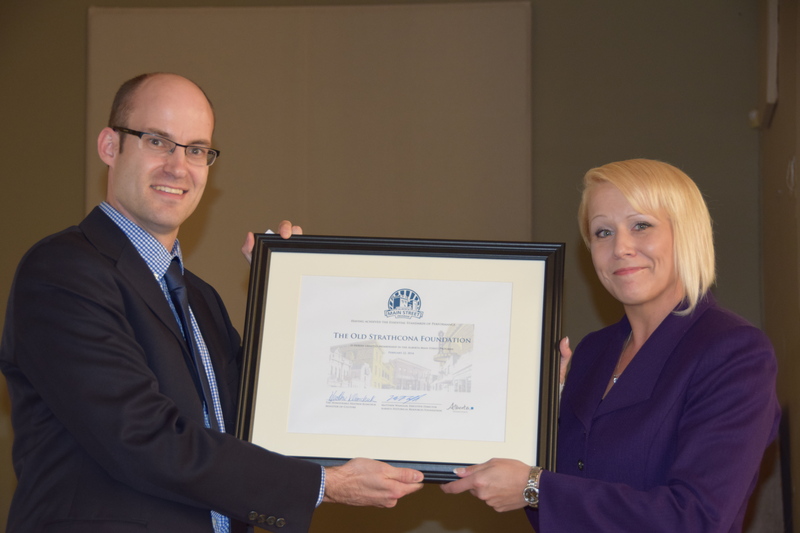 Alberta Historical Resources Foundation Executive Director Matthew Wangler presents the Alberta Main Street Program Membership to Angie McDow, President of the Old Strathcona Foundation. 2014 marks the 40th Anniversary of the Old Strathcona Foundation, which will serve as the primary sponsoring organization for the Old Strathcona Main Street Program. The “OSF” has a tremendous legacy of heritage conservation and community engagement, and the Alberta Main Street Program is looking forward to partnering with them as together we look to create a meaningful future for this already vibrant historic urban landscape. Perched high above the tree tops, braced to mountain peaks or balanced on steel towers, fire lookouts have a magnificent view. And that is the idea—they provide a place to watch for the first wisps of smoke that may signal the beginning of a wild fire. Detection, identification and then communication of the whereabouts of fires has been the job of the seasonal fire lookout observer in Alberta for over a hundred years. By the 1890s forest fires were increasingly a cause for concern, not only because of economic opportunity lost when marketable timber burned, but because of a long term threat to water conservation. (Forests increase precipitation, prevent erosion and slow the evaporation of ground water.) In response the Dominion Forestry Branch developed trails for their patrol routes, and then began building a system of fire lookouts in Alberta’s extensive area of Forest Reserves and Parks. When jurisdiction over crown lands was transferred to Alberta in 1930, the Albert Forest Service expanded the system further, particularly during the 1950s. The first tower lookouts were temporary, improvised from building materials the forest rangers found while on patrol. They were often no more than “crawl” tree structures—trees with their branches removed serving as supports for bush ladders, steps between poles attached to two trees. A pre-requisite for a permanent staffed lookout was a phone line. Available after 1910, the phone allowed the man in the tower to talk to someone in the nearest ranger station. Seasonal employees were hired to man lookouts during fire season and their job included maintaining the trails and telephone lines, as well as making weather observations. 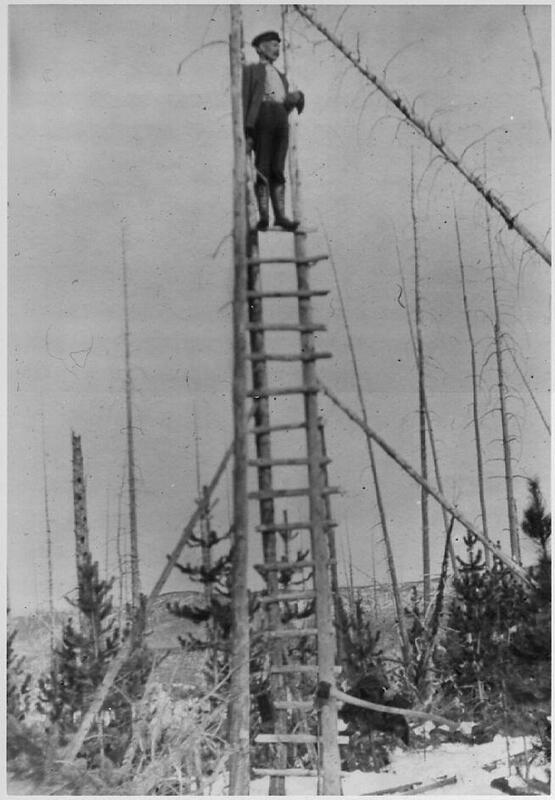 After 1912 there were two types of lookouts: summit lookouts, built on the ground or on short stilts, which provided a vantage point from high alpine peaks, and towers, built on high hills in the boreal forest, which elevated the observer over any obstacles to vision. On mountaintops the earliest summit lookouts were single, square wood frame 12 by 12 foot structures with a pyramidal roof. Later designs featured a 14 by 14 foot structure with a cabin at ground level and a second story for observation. At these locations everything was constructed from planed boards, the easiest and lightest material for horses to haul. The lookouts were held down by steel cable that ran from a post on the roof to wherever they could be secured in earth. Open windows with hinged wood shutters that pulled upwards gave a 360 degree view. Burke Lookout (later renamed Cameron Lookout) built in 1929 on the summit of Mount Burke in the Livingstone Range is one example. 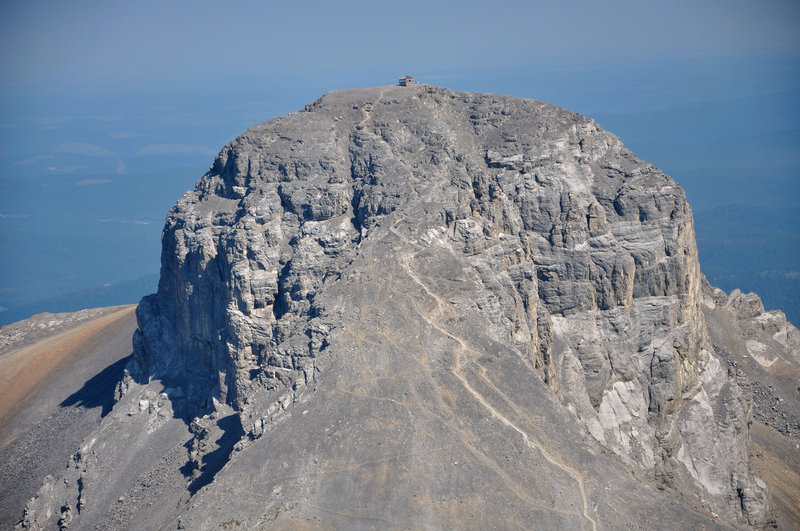 At a staggering elevation of 8,330 feet (2,540 meters), it was the highest in Canada. It was hard work getting supplies up there each summer. The observer had to find his own wood supply for the stove to cook and keep warm; at Cameron this meant a long walk down the mountain to get below the tree line. Cameron was closed in 1953 and replaced by two lookouts positioned at lower altitudes that were easier to get to. Cameron is still visible with binoculars from Highway 2. In the boreal forest area, a variety of tower types evolved. A smaller version of square lookouts, such as that built at House Mountain, near Whitecourt, was placed on broad-based wooden towers. Other towers were narrower, up to 60 feet high, with a small cupola lookout on top. They were constructed from either timber or steel. Introduced in the 1920s, steel increasingly replaced wood for tower construction. The later version of these steel towers replaced the wooden octagonal cupola with a fiberglass design in the 1960s. Inside the lookout observers used binoculars to scan the forest then locate the fire with a rudimentary fire finder. Then in 1945, lookouts adopted the Osborne, an instrument used to help determine the precise location of a fire in relation to the tower. Mounted on a stand in the middle of the cupola, it measures the azimuth between true north and the location of a fire. Alberta is the only agency in the world that added a telescopic sight to the Osborne. Promoted by a couple of lookout observers in the 1960s, it was developed for use by the province to locate fires with precision over great distances. 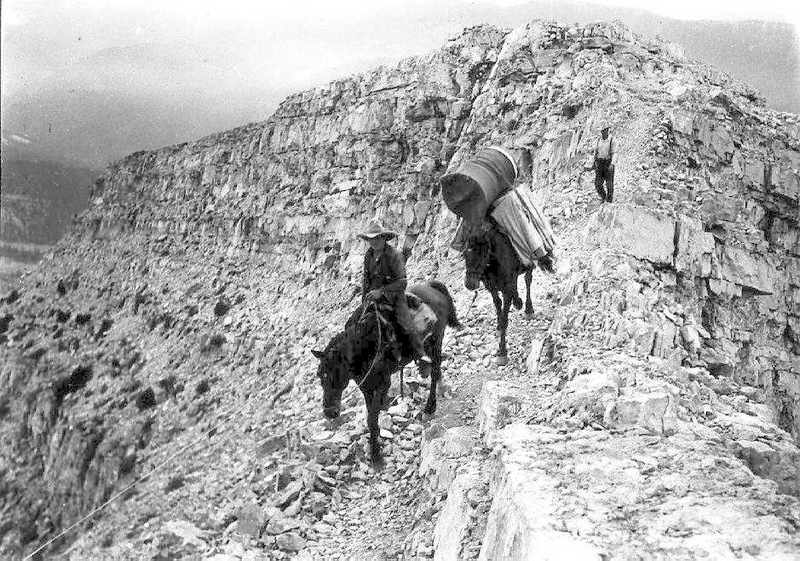 In the early days, the real challenge was to communicate the location of a fire to the nearest ranger stations; the telephone system, a tree-line or tripod system in the mountains, employed cable strung between trees and held on with insulators. It was susceptible to lightning, sometimes with frightening results when a bolt hit the line and the charge travelled along it and up into the lookout. The telephone also went down when trees fell across the line in summer and snow load would take it down prior to the fire season. In 1938, the first two-way radios, run on a generator, were installed in lookouts for communications. The importance of fire lookouts has not diminished. 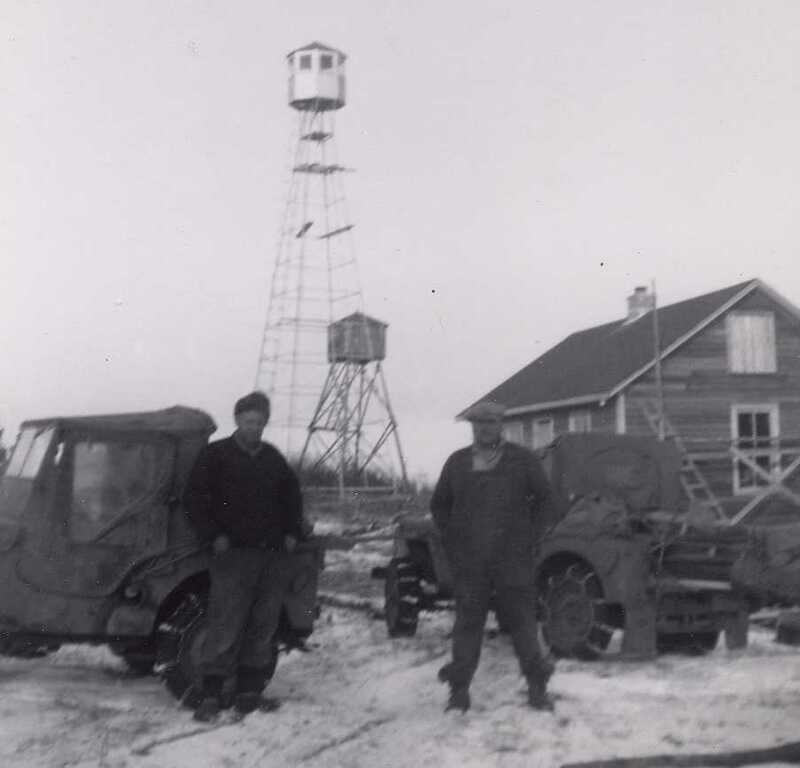 Many of Alberta’s 127 operational fire lookouts are rebuilt on the location of the first generation of lookouts. Although working conditions are more comfortable, the job requirements for lookout observers—strong physical and mental health to withstand the rigors of climbing the lookout tower, loneliness and often monotonous routines—have changed little. “You have to like yourself to take the job;” that’s what the old hands say about life on the lone lookout. The Heritage Preservation Partnership Program of the Alberta Historical Resources Foundation is the provincial funding program focused on helping individuals and organizations fund heritage initiatives. As Grant Program Coordinator, Carina Naranjilla keeps that program on track. Carina Naranjilla, Grant Program Coordinator, A.H.R.F. The Alberta Historical Resources Foundation is a lottery-funded agency within Alberta Culture. 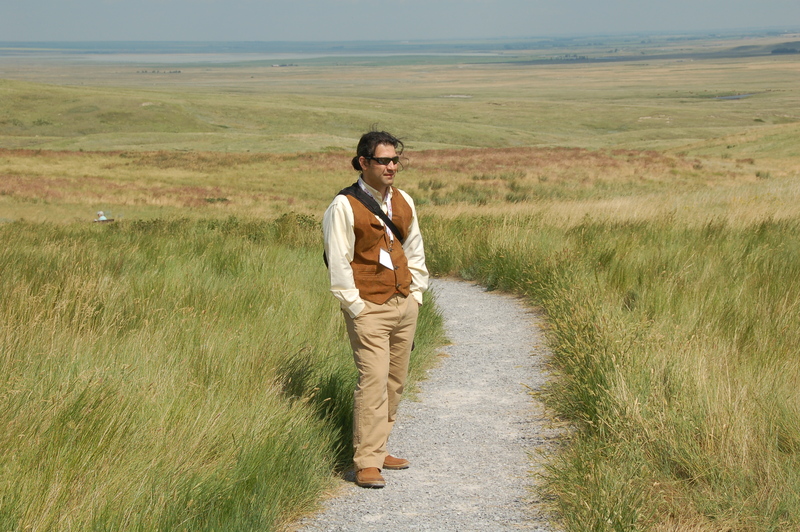 The Heritage Preservation Partnership Program is one of the Foundation’s three grant programs. Heritage Preservation Partnership grants are awarded in five categories: Historic Resources Conservation, Transportation/Industrial Artifact Conservation, Heritage Awareness, Publications, and Research. There are also two scholarships: the Roger Soderstrom Scholarship and the Bob Etherington Heritage Trades Scholarship. At the close of the twice-yearly application deadlines, Carina logs the applications, then distributes them to the appropriate subject experts within the Historic Resources Management Branch to develop informed recommendations to the Foundation’s Board of Directors. She emphasizes how important these evaluations are: “There are a lot a good projects, but you only have so much funds to distribute, so the challenge is to make sure that we are being fair and…when we deny an application or give reduced funding … we are able to provide the rationale” to explain that decision. The Foundation’s board meets four times a year, and decisions about these awards are made at two of those meetings. Carina organizes the board meetings, along with managing other board interaction: “I look after drafting the agenda, coordinating the logistics, coordinating the materials and making sure they’re distributed on time—everything pertaining to the board meeting.” The two-day meetings, held in different locations around the province, always include a tour of the host community and opportunities for board members to meet with local heritage stakeholders. Carina particularly enjoys this outreach and the chance to see the local impact of grant-funded projects. The recently announced conservation grants for owners of flood-impacted historic properties will mean more administrative responsibility for Carina. This special funding program will be run in the same way as the Heritage Preservation Partnership Program, but with different deadlines and a separate funding pot of $4.5 million. Carina is eager to see the applications that will come in at the first deadline, April 1. There are the Heritage Awards, presented every two years in the categories of Heritage Conservation, Heritage Awareness, Municipal Heritage Preservation, and Outstanding Achievement. Carina oversees the application and review process, and plans the awards ceremony. “It’s really fun to organize,” she says. She also collaborates with the Communications Branch, which generates media coverage to encourage nominations and publicize the award decisions. The next ceremony, scheduled for October 16, 2014, will be held in conjunction with the annual Municipal Heritage Forum for the first time. Carina anticipates that this will bring even greater attendance and attention. In addition, the Alberta Historical Resources Foundation provides annual funding to five other provincial heritage organizations—the Alberta Museums Association, the Archives Society of Alberta, the Historical Society of Alberta, the Alberta Genealogical Society and the Archaeological Society of Alberta—and Carina administers that too. “So, you’ve got to be organized,” Carina concludes about her multifaceted position. 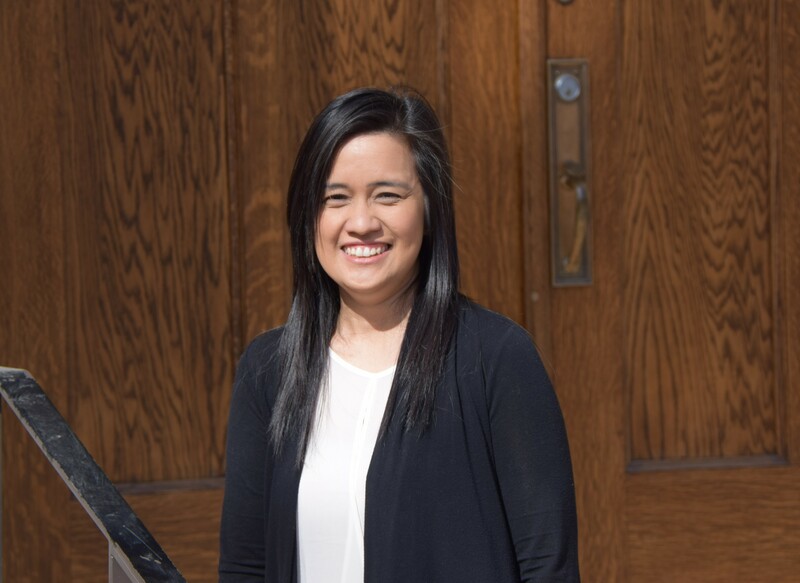 She has been with the Historic Resources Management Branch since 2000, and in her present position since 2009, after earning a master’s degree in industrial engineering and working as a Business Analyst in her home country, the Philippines, then holding diverse administrative positions in private industry and government in Edmonton. 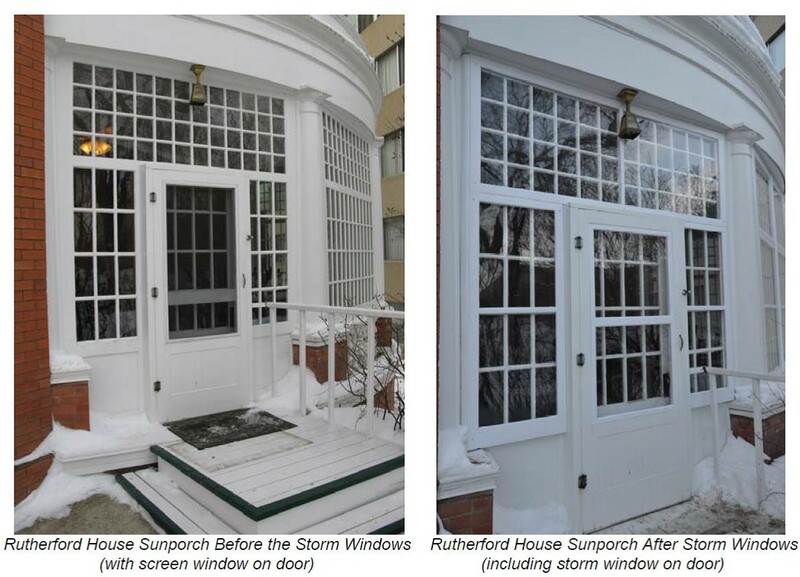 New Uses for Old Places is a RETROactive series in which we are looking at examples from around Alberta of historic sites that have found interesting new uses for spaces that were originally designed for other purposes. In this last installment we will be looking at King Edward School in the neighbourhood of South Calgary as an example of adaptive reuse project underway to repurpose the building as a mixed-use arts incubator (a place that nurtures the growth and development of artists and arts organizations). The King Edward School was constructed in 1912 as a four-storey building that features a symmetrical design, rock-faced sandstone walls and a dressed sandstone front entrance. During its time as an institution of learning, the School also functioned as a community hub, hosting dances and other events. The school operated as versions of both King Edward Elementary/Junior High School and South Calgary High School. The school closed in 2001 and sat empty…until now. In 2011, cSPACE Projects was established by the Calgary Arts Development Authority and the Calgary Foundation for the purpose of promoting opportunities for artist and non-profit arts/community groups. cSPACE became the new owners of the property and is now embarking on an ambitious rehabilitation effort. The project involved the removal of a 1960s addition that was deemed to be non-character-defining to the historic value of the place as well as the construction of a new addition and two adjacent art studio pavilions. Modelled around the concept of providing a ‘creative commons’, ‘learning commons’ and ‘community commons’, the finished product will include facilities for artistic production, exhibition and rehearsal and will serve as home to a range of arts organizations and independent artists. 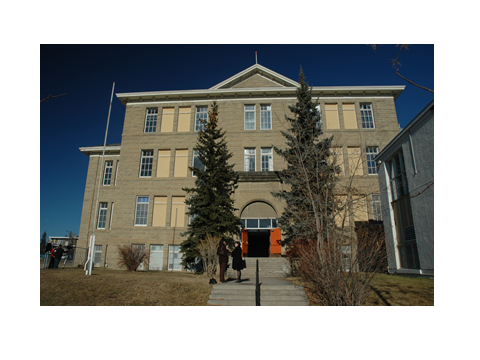 As part of the project the owner and the City of Calgary have entered into an agreement to ensure that the King Edward School will be designated a Municipal Historic Resource. The story of the Alberta Wheat Pool Elevator at Leduc. Leduc Grain Elevator in 2007. Photo by Judy Larmour, Courtesy of Alberta Legacy Development Society. Have any elevator enthusiasts out there ever noticed that the former Alberta Wheat Pool Elevator at Leduc looks a little different? It is a unique low-profile version of the Pool’s single composite 130,000 bushel elevator built on a standard plan during the 1960s and 1970s. It’s also unique as the only grain elevator that lies directly under the flight path to the main runway of an international airport and therein lies a story. 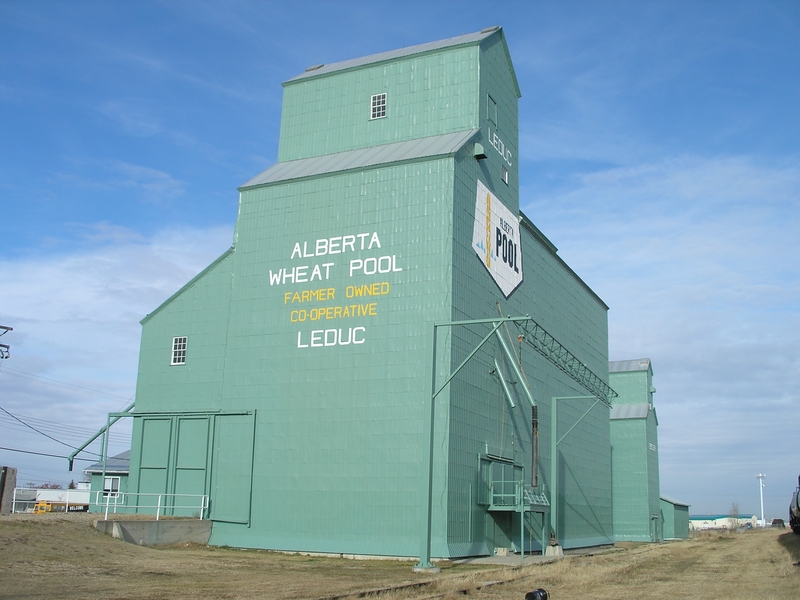 In 1976 the Alberta Wheat Pool revealed its intent to build a new elevator at the siding in Leduc. It wanted an elevator that would have a large enough capacity to replace all their aging elevators on the row, allowing for easier and more efficient grain handling. A single composite elevator built to the standard design stood normally over 27 meters hight (approximately 90 feet). This was considered a navigational hazard for airplanes approaching the airport—too high to get clearance from Transport Canada. So the Alberta Wheat Pool engineers went back to the drawing board to adjust the design, reducing its height. Transport Canada was satisfied with the new design, gave the green light and Leduc issued a building permit. Work began under AWP construction foreman Jim Pearson in spring 1978. All elevators were basically built the same way. First a hole was excavated, cement foundation pads were poured and the steel pan set flush in the pit. The crew began construction of the sturdy cribbed walls, built to withstand the weight of the grain. The cribbing timbers were laid flat and spiked together. The cribbing of the exterior walls continued in rounds, in step with the cribbing of the inside bins, so that the elevator rose at an even height. As the cribbing progressed the crew installed the leg to elevate the grain, the distribution spout or gerber, the hopper and scales on the work floor, and the loading spout to the track below. 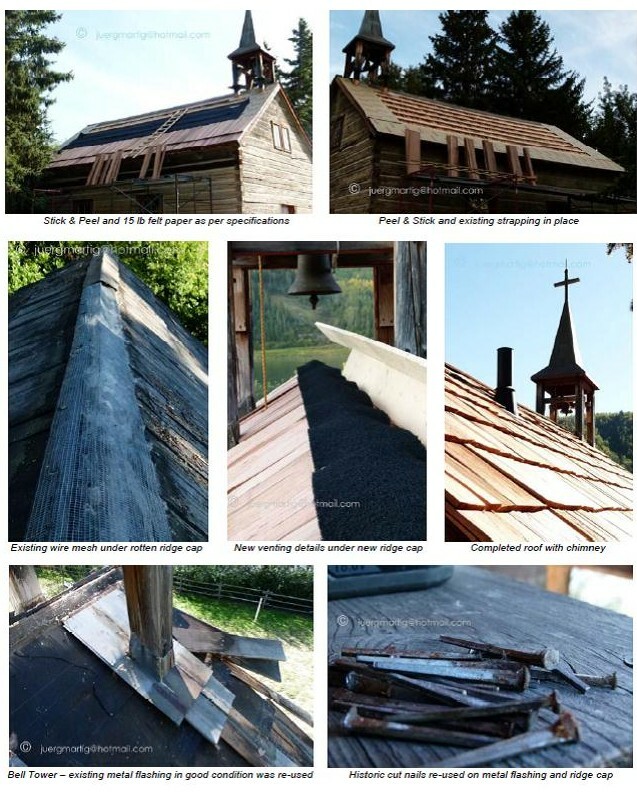 The cupola on top was put together with pre-cut wood studs and shiplap or plywood walls. Finally the driveway was added, and the whole structure was clad with wood siding. At Leduc, as Pearson later explained, changes had to be made to the standard plan. Instead of the standard 67 foot walls, the walls and bins were cribbed up only 59 feet, and the cribbing strength was reduced proportionately to the overall height of the building. The standard rounds of 2 by 6 cribbing were reduced by 5 feet and the higher 2 by 4 cribbing by 3 feet. To partially compensate for the lost volume, the design incorporated an annex 10 feet longer than was standard, giving the structure a footprint of 38 feet by 100 feet. Lowering the walls 8 feet was still not enough to meet the required height restrictions. Another factor came into play. Elevators compress when they are filled with grain. The term telescope is used to describe a number of ways to allow the building to move in response to changing loads without causing damage to the structure. Normally, the leg is in one piece, so the cupola must be high enough to clear it as the elevator compresses. The Pool, wishing to install two metal legs—one for receiving grain and one for shipping, as was common by the 1970s—had to devise special legs at Leduc. They were telescoped in the middle and moved with the elevator to allow a lower profile than the standard one piece leg. A floating pulley in the pit took up the slack in the belt inside the leg. This one-of-a-kind system designed by Pool engineers allowed them to construct the cupola thirty inches below the regular height. When the new elevator was complete it was about the same height as the three 1920s elevators that it replaced. 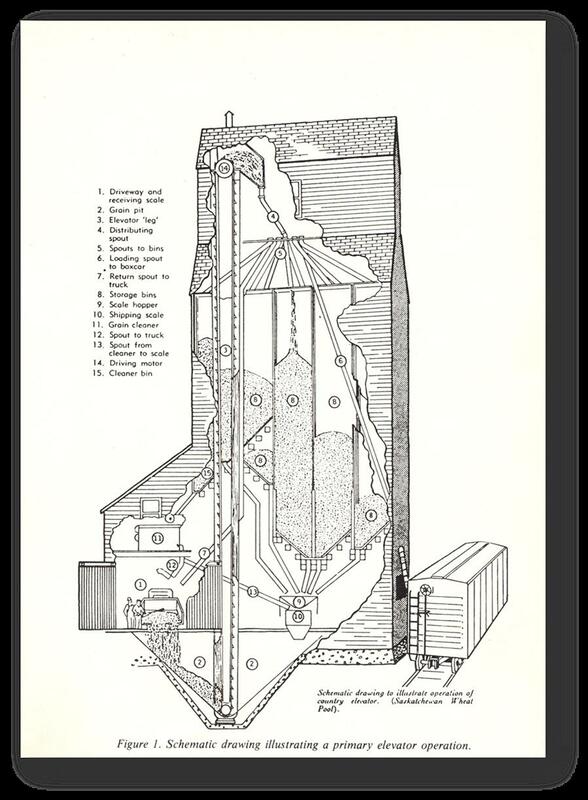 The flight path-friendly elevator, with a capacity of 121, 000 bushels, was more expensive than a standard elevator. It cost $592,752 to build and opened in December 1978—the official ribbon cutting deferred until April 1979. It proudly served the farmers of Leduc until July 2000. When its days were clearly numbered and it, too, was faced with demolition the newly formed Alberta Legacy Development Society sprang into action to ensure its survival. Designated as a Provincial Historic Resource in 2003 and with fresh coat of paint in September 2007, it flaunts the once familiar and omnipresent Alberta Wheat Pool crest and logo. So the next time you fly over Leduc into Edmonton, just before landing, look down to spot Alberta’s special stubby, one of the last Alberta Wheat Pool single-composite elevators standing and still the tallest building in downtown Leduc. 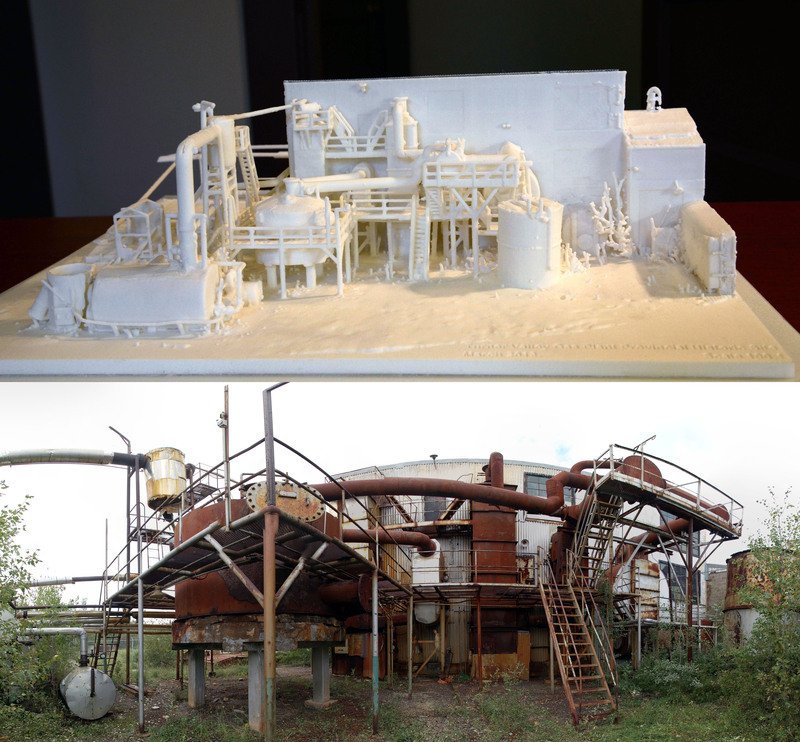 Ever Wonder How a Grain Elevator Worked? We’ve published articles on Alberta’s historic grain elevators in the past and they’ve struck a cord. We’re preparing a few more articles about Alberta elevator’s, so stay tuned. In the meantime, we though you may wish to know how a grain elevator worked. A diagram of a standard grain elevator. The interior of a traditional elevator contained two open areas: an attached covered driveway and an open space under the suspended bins, known as the work floor, in the centre of the elevator. A fully-loaded vehicle was parked on the large receiving scale, which took up most of the driveway floor. The agent weighed a farmer’s fully-loaded truck, wagon or sleigh using a balance beam to the side of the scale. The farmer then dumped his load through a grate on the scale floor and the now empty vehicle was re-weighed. The agent took a sample of the grain, which he analysed for type and quality. The grain flowed through the grate into the pit below. This pit was an open triangular shaped steel pan. The agent then used the leg to elevate the grain from the pan or pit. The leg stretched from the pit to the top of the elevator. The leg — originally powered by a 15 horsepower, one-cylinder gasoline engine mounted under the office, and later by an electric motor—was an endless belt with cups attached running inside a wooden chute up the elevator,. As the leg turned, it elevated grain to the head distribution spout or gerber. The gerber was moved from one bin spout to another to direct the grain to the desired bin. The gerber was controlled from the work floor with a wooden pedal and a large hand wheel attached to the front of the leg chute. Most spouts in the cupola fed into a storage bins (there were at least 18 but often more). The load was stored in a bin holding the same type and grade of grain. One spout led directly outside the elevator on the track side; it could be positioned over the track for loading grain into grain cars. Another spout returned grain from within the elevator to the driveway where it could be dumped into a waiting wagon or truck. When the agent wanted to ship a quantity of grain he drew grain from the selected bin into the shipping scale bellow the scale hopper. After it was weighed the grain was dropped into the pit, the leg re-elevated itand directed it through the gerber and into the rail car loading spout and down into a grain car waiting on the siding beside the elevator.